In January 2018, Interior Minister Lotfi Brahem admitted during a parliamentary hearing that he had wiretapped a French journalist’s phone (see Surveillance, Privacy, and Anonymity). Parliament reintroduced a bill in July 2017 that would increase criminal penalties for “denigrating” the police and armed forces (see Legal Environment). In March 2018, members of parliament from the Nidaa Tounes party proposed two new articles to the penal code that would criminalize online defamation (see Legal Environment). Internet freedom remained “partly free” in 2018 although legislative proposals threatened free expression and the interior minister revealed that he wiretapped a journalist’s phone. Nationwide protests erupted in January 2018 against the passage of the government’s austerity budget.1 The activist group “Fech Nestannew” (What are we waiting for?) organized demonstrations and documented the disproportionate police response on its Facebook page.2 Some journalists reporting on the protests were harassed, intimidated, and even summoned for interrogation. In the aftermath, the interior minister admitted to monitoring journalists and wiretapping a French journalist’s phone who had been in contact with a protester.3 In February, the National Syndicate of Tunisian Journalists organized a “day of anger” to protest government pressure against journalists covering security operations, among other things. The online landscape changed dramatically with the ouster of autocratic president Zine El Abidine Ben Ali on January 14, 2011, when a vast censorship apparatus largely dissipated. Since then, internet users have enjoyed an unprecedented level of access to uncensored content online. Reforms to ICT regulation have benefitted Tunisians through lower prices and improved internet penetration. However, Tunisia’s legal environment remains a significant impediment to internet freedom. Several problematic laws from the Ben Ali era remain on the books, while this reporting period saw further legislative proposals that would threaten free expression online. One such draft law would criminalize criticism of the security forces, including for human rights abuses. Another proposal would amend the penal code and criminalize publishing content that could harm “public order,” “good morals,” “sanctity of the private life,” and “the honor” of individuals and “official institutions.” Meanwhile, Tunisia was invited to accede to the Budapest Convention on Cybercrime. Growth in mobile internet subscriptions has underpinned an increase in internet penetration in Tunisia. However, the telecommunications market remains dominated by three major players, with state-controlled Tunisie Telecom (TT) continuing its monopolistic control over the internet backbone. Although there are no legal limits on the data capacity that ISPs can supply, the bandwidth remains very low and connectivity is highly dependent on physical proximity to the existing infrastructure. The Tunisian government does not impose any restrictions on ICT connectivity. However, TT remains the sole manager of the country’s 10,000 kilometer fiber-optic internet backbone. TT also acts as a reseller to domestic ISPs, granting it an oversized role in the country’s internet governance. However, some positive signs have emerged in recent years. In September 2014, private operators Ooredoo Tunisie and Orange Tunisie inaugurated their own international submarine cable, breaking TT’s monopoly over Tunisia’s international submarine communications cables.19 The 175-kilometer-long cable, which links Tunisia to Italy, is the first privately-owned cable to enter into service in Tunisia. The main mobile operators are TT, Ooredoo Tunisie, and Orange Tunisie. 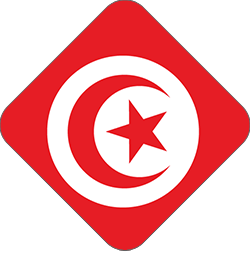 The state controls a 65 percent stake in TT, while the private equity firm Abraaj Group purchased the remaining shares of TT in November 2017 from Dubai Holding.24 Ooredoo Tunisie is a subsidiary of the multinational company and Qatar-based Ooredoo. AfOrange Tunisie has been controlled by the state since 2011, when a 51 percent stake was seized from Marwan Ben Mabrouk, son-in-law of former president Ben Ali. The remaining 49 percent stake is owned by the multinational group Orange. A smaller operator, Lycamobile Tunisia, entered the ICT market in late 2015. Lycamobile is an international mobile virtual network operator, which provides low cost rates for domestic and international calls and data services.25 The operator was allocated a five-year renewable license and uses the infrastructure of TT. Lycamobile accounted for less than 4 percent of subscriptions by May 2018.26 The market shares of Ooredoo, TT, and Orange Tunisie are 40 percent, 30 percent, and 26 percent, respectively. The Ministry of Communication Technologies and Digital Economy is the main government body responsible for regulating the ICT sector. The National Instance of Telecommunications (INT) is the regulator for all telecom and internet-related activities, and has the responsibility of resolving technical issues and disputes between actors. The INT’s governance body is made up of seven members, including a vice president who is appointed by the Court of Cassation (the highest court in Tunisia), and a permanent member appointed by the Court of Accounts, which oversees the management of public funds. The INT’s board members are appointed by government decree in a process that lacks transparency. Since 2012, the vice president of the INT is directly selected by the Council of the Judiciary an independent body tasked with overseeing the functioning of the judicial system, before appointment by government decree.28 The INT has initiated some positive changes in internet policy, namely through the introduction of a more liberal domain name chart and an invitation to independent arbitrators from civil society to help develop a new alternative domain name dispute resolution process. Internet policy is decided by the INT and executed by the ATI, a state body governed by a board of trustees comprised of representatives from the main shareholder, TT. The company controls 37 percent of ATI shares and the state owns a further 18 percent, while the remaining 45 percent is divided among private banks. The head of the ATI is appointed by the ICT Ministry. The INT and ATI manage the “.tn” country domain. Under Ben Ali, the ATI was a government organ for surveillance and censorship. The ATI now manages the internet exchange point (IXP) between national ISPs that buy connectivity from TT, as well as the allocation of internet protocol (IP) addresses. Passed in December 2014, Government Decree n°2014-4773 regulates the granting of business licenses to ISPs.29 Under the decree, ISPs are subject to prior authorization from the ICT Ministry, after consulting with the Ministry of Interior and the INT. Article 8 established a new advisory board tasked with examining licensing requests and advising on matters related to infractions and sanctions. The board is presided over by the ICT minister or his representative and is composed of representatives from the Ministries of Defense, Interior, ICT, and Commerce; the INT; and the Union for Industry and Commerce (UTICA). Businesses seeking to apply for a license need to have a standing capital of at least TND 1 million (approximately US$405,000). Licensing applications must be answered by the ministry within one month. Tunisian users continue to enjoy an open internet. However, in the absence of legal reforms, laws regarding censorship and intermediary liability from the Ben Ali era continue to pose a threat to free expression online. Censorship remains relatively uncommon in Tunisia, with no instances of politically motivated blocking during the reporting period. Popular social media tools such as Facebook, YouTube, Twitter, and international blog-hosting services are freely available. Under laws inherited from the dictatorship era, ISPs are liable for third-party content. According to Article 9 of the 1997 Internet Regulations, ISPs are required to continuously monitor content to prevent the dissemination of information “contrary to public order and good morals.”36 There is no evidence that these laws were used to request intermediaries to remove political or social content during the coverage period. Tunisia’s online media landscape is vibrant and open. Since the revolution, numerous online news sites have been launched alongside newspapers, radio stations, and television channels, enriching the information landscape through the addition of viewpoints from a diverse range of social actors. Nonetheless, self-censorship still occurs. Some users may avoid crossing certain red lines on topics such as religion, the military, and security institutions over fears of potential arrest and prosecution. Still, users are more open to discussing these sensitive issues on the web compared to traditional media. For example, religious issues are debated more openly online than in the mainstream media or on the streets. The National Syndicate of Tunisian Journalists, a nongovernmental organization (NGO), organized a “day of anger” demonstration in February 2018 to protest the pressure authorities place on journalists covering security operations or expressing critical viewpoints. The demonstration came in response to Minister of Interior Lotfi Brahem admitting that journalists were being monitored (see Surveillance, Privacy, and Anonymity). Civil society activists have utilized data collected through the Right to Information Law, which went into force in March 2017, to launch online platforms designed to inform the public and hold public officials accountable. For example, Cabrane.com monitors the costs and on-time performance of public projects, and resources.tn makes legal, administrative, and media information related to natural resource management and the energy sector available to public. While Tunisia has taken significant steps to promote internet access and reverse online censorship, the country’s legal framework remains a significant threat to internet freedom. Most problematically, the judiciary continues to employ laws from the Ben Ali era to prosecute online expression, and several users were charged with criminal defamation during the reporting period. The 2014 constitution, the first to be passed since the 2011 revolution, enshrines the right to free expression and freedom of the press, and bans “prior censorship.” Specific articles guarantee the right to privacy and personal data protection, as well as the right to access information and communication networks.38However, the text contains vague language tasking the state with “protecting sanctities” and banning “takfir” (apostasy accusations). Such language could act as a constitutional restriction on internet freedom. In March 2018, the government extended the state of emergency for seven months.51 In 2015 and 2016, in response to a series of armed attacks, the government implemented new security measures and imposed a state of emergency. A previous state of emergency was implemented in 2011 during the revolution. In November 2017, the Court of First Instance in Bizerte sentenced blogger Mohamed Hammami, in his absence, to one year in prison for online defamation against Minister for Relations with the Constitutional Bodies, Civil Society, and Human Rights Mehdi Ben Gharbia.55 The sentence was later reduced to eight months in prison and a fine of TND 120 (US$40).56 Hammami has appealed the decision. In January 2018, the Court of First Instance in Jendouba sentenced both Abdel Aziz Al Jordi and Abdul Razzaq Al Kharzi to six months in prison and TND 5,000 (US$2,093) for publishing false news that would disturb public order, committing “a brutal act” against the president, and violating copyright laws by imitating a registered trademark without permission. Surveillance remains a concern in Tunisia, particularly in light of the country’s history of abuse under the Ben Ali regime. New revelations during the reporting period have raised concerns regarding the government’s wiretapping ability. The creation of a new government surveillance agency in November 2013 raised concerns among human rights and privacy groups, particularly given the lack of transparency surrounding its duties. The Technical Telecommunications Agency (ATT) was established by decree under the government of former prime minister Ali Laarayedh. The decree tasks the ATT with “providing technical support to judicial investigations into information and communication crimes,” but neither defines nor specifies these crimes.66 Netizens immediately criticized the decision for its lack of parliamentary scrutiny, as well as a failure to provide the body with a clear and limited mandate, with independence from government interference, and with mechanisms to guarantee user rights.67 According to article 5 of the decree, the ATT’s activities are not open to public scrutiny. In late 2016, plans to introduce biometric identification cards sparked criticism, particularly in the absence of strong data and privacy protections.75 A bill, proposed by the government and submitted to the parliament, would amend a 1993 law on national identification cards by requiring citizens to carry biometric identification cards encoded with a combination of personal data, including one’s photograph, digitized fingerprint, social security number, and home address. A number of civil society groups criticized the bill for its lack of safeguards and lack of details about the measures authorities would take to ensure protection of citizens’ biometric data. It was also unclear which government authorities and institutions would have access to the data, as well as where and for how long such data would be stored.76 The Data Protection Authority (INPDP) denounced the government for failing to consult with it prior to releasing the bill; under article 76 of the data protection law, the authority is entitled to give its opinion on matters related to privacy and personal data protection. Laws that limit encryption also remain a concern in the post-Ben Ali era. In particular, articles 9 and 87 of the 2001 Telecommunication Code ban the use of encryption and provide a sanction of up to five years in prison for the unauthorized use of such techniques. While there have been no reports of these laws being enforced, their continued existence underscores the precarious nature of Tunisia’s newfound and relatively open internet environment. In June 2018, a recording leaked on social media in which Nabil Karaoui, the head of Nessma TV, described how he would use his TV station to harass the former executive director of the anticorruption NGO I Watch, as well as his family, by accusing him of being a “traitor” who received money to study abroad.83I Watch maintains a strong online presence in Tunisia. 6 Instance Nationale des Télécommunications. “Suivis des principaux indicateurs du marché de la data mobile en Tunisie” [Monitoring of main indicators regarding the mobile data market],May 2018 http://www.intt.tn/upload/files/TB4_Data-Mobile%20-%20Mai%202018.pdf . 7 Instance Nationale des Télécommunications. “Suivis des principaux indicateurs du marché de la data fixe en Tunisie” [Monitoring of main indicators regarding the fixed data market], May 2018, http://www.intt.tn/upload/files/TB3_Data-Fixe%20-%20Mai%202018-01.pdf. 8 “Tunisie: Le gouvernement tunisien espére le lancement de la 4G cet été,” Huffpost Tunisie. March 1, 2016, http://www.huffpostmaghreb.com/2016/03/02/tunisie-4g_n_9367760.html. 9 “Antony Drugeon, “La 4G arrive en Tunisie: à quels changements s'attendre?” Huffpost Tunisie, March 10, 2016, http://www.huffpostmaghreb.com/2016/03/10/4g-tunisie-changements_n_9425008.html. 10 “Packs clés post-payés 4G,” Ooredoo Tunisia, accessed on October 13, 2017, http://ooredoo.tn/particuliers/Packs-cles-post-payes-4G. 11 “Adsl força,” GlobalNet, accessed on October 13, 2017, http://www.gnet.tn/offres-familiales/forca/id-menu-949.html. 12 “ADSL Home,” Orange Tunisia, accessed on October 13, 2017, http://orange.tn/adsl-home. 16 Instance National des Télécommunications (INT), “Suivi des principaux indicateurs du marché de la téléphonie mobile en Tunisie” [Monitoring of main indicators regarding the mobile phone market in Tunisia], May 2018, http://www.intt.tn/upload/files/TB2_Tel-Mobile%20-%20Mai%202018.pdf . 17 Decision of July 29, 2013 on the conditions for the exploitation of public internet centers, JORT page 38 http://www.cnudst.rnrt.tn/jortsrc/2013/2013a/ja0732013.pdf. 18 Instance National des Télécommunications, “Suivi des principaux indicateurs du marché de l’Internet fixe en Tunisie” [Monitoring of main indicators regarding the fixed Internet market in Tunisia], January 2018 http://www.intt.tn/upload/files/TB3_Data-Fixe%20-%20Janvier%202018.pdf. 19 “Didon cable linking Italy and Tunisia enters service,” Telecom Paper, September 22, 2014, http://bit.ly/1L9DFV2. 21 Signature of a Convention between the MTCEN and Level4 Company in the field of installation and operation of a public telecommunications network in Tunisia. December 2017, http://www.ati.tn/?p=2127&lang=fr. 25 Lycamobile to Launch in Tunisia as its Global Network Reaches 20 Countries. PR Newswire, October 1, 2015, http://www.prnewswire.com/news-releases/lycamobile-to-launch-in-tunisia-as-its-global-network-reaches-20-countries-530220811.html. 27 Instance Nationale de Télécommunication. “Suivi des principaux indicateurs du marché de la data fixe en Tunisie” [Monitoring of main indicators regarding the fixed internet market in Tunisia], May 2018 http://www.intt.tn/upload/files/TB3_Data-Fixe%20-%20Mai%202018-01.pdf . 28 Twinning Project TN/13/ENP/TE/27b Support for the Instance National of Telecommunications (INT), “Report on the independence of the Instance National of Telecommunications,” January 2016, accessed on 8 May 2017, http://www.intt.tn/upload/files/Report%20on%20Independence%20of%20the%20INT.pdf. 29 Presidency of the Government, أمر عــدد 4773 لسنة 2014 مؤرخ في 26 ديسمبر 2014 يتعلق بضبط شروط وإجراءات إسناد ترخيص نشاط مزود خدمات الأنترنات. [Decree n°4773 of 26 December 2014 fixing the conditions and procedures for allocating authorizations for ISP activities], December 26, 2014, http://bit.ly/1UrOYlW. 34 “Tunis 24/7 Mokhtar Khalfaoui/ Noomane El Fehri,” YouTube video, 1:31:35, published by Elhiwar Ettounsi, March 26, 2015, https://youtu.be/8iVo_m-wULE. 39 Maher Chaabane and Lilia Weslaty, “Tunisie : Yassine Ayari ne doit pas être jugé par le tribunal militaire selon Rahmouni,” [According to Rahmouni, Yassine Ayari should not be prosecuted by the military court] Webdo, December 25, 2014, http://bit.ly/1JTUtTC. 40 Safa Ben Said,” In Tunisia, press freedom erodes amid security fears,” Committee to Protect Journalists, October 27, 2015, https://www.cpj.org/reports/2015/10/in-tunisia-press-freedom-erodes-amid-security-fear.php. 42 “Tunisia: Counter-terror law endangers rights,” Human Rights Watch, July 31, 2015. https://www.hrw.org/news/2015/07/31/tunisia-counterterror-law-endangers-rights. 43 Safa Ben Said,” In Tunisia, press freedom erodes amid security fears,” Committee to Protect Journalists, October 27, 2015, https://www.cpj.org/reports/2015/10/in-tunisia-press-freedom-erodes-amid-security-fear.php. 61 “Tunisian Interior Ministry: Dismantling Female Terrorist Cell,” (Arabic) Deutsche Welle, March 15, 2017, http://bit.ly/2yrwgoT. 66 Reporters Without Borders, “Authorities urged to rescind decree creating communications surveillance agency,” December 3, 2013, http://en.rsf.org/tunisia-authorities-urged-to-rescind-02-12-2013,45531.html. 67 Afef Abrougui, “Will Tunisia’s ATT Ring in a New Era of Mass Surveillance,” Global Voices Advocacy, November 26, 2013, http://bit.ly/1JTXPpw. 68 Khalil Abdelmoumen, “Jamel Zenkri, DG de l’AT des Télécommunications : «Nos agents sont, dès le départ, soupçonnés d’être malhonnêtes»,” [Jamel Zenkri director general of ATT: “Our agents are from the start suspected of dishonesty”] Webdo, June 4, 2014, http://bit.ly/1PkCENF. 69 Sarah Ben Hamadi, “Tunisie: Jamel Zenkri à la tete de l’Agence Technique des Télécommunications,” [Tunisia: Jamel Zenkri to head the Technical Agency of Telecommunications] Al Huffington Post, March 3, 2014, http://huff.to/1EFND3Y. 70 Afef Abrougui, “Tunisia: New Big Brother, non-existent reforms,” Global Information Society Watch 2014: Communications surveillance in the digital age, 248, http://bit.ly/1fZu4rn. 75Ahmed Medien, “Experts Cast Doubt on Tunisia’s Biometric Identification Bill,” Global Voices, November 30, 2016, https://globalvoices.org/2016/11/30/experts-cast-doubt-on-tunisias-biometric-identification-bill/. 76 “Tunisia: Statement on Proposed National ID Card,” Access Now, November 18, 2016, https://www.accessnow.org/tunisia-statement-proposed-national-id-card/. 89 “Tunisie. Le site Inkyfada piraté après des révélations sur les Panama Papers,” Courrier International, April 6, 2016, http://www.courrierinternational.com/article/tunisie-le-site-inkyfada-pirate-apres-des-revelations-sur-les-panama-papers. 90 “Tunisie : la commission électorale sans tête,” Le Point, May 11, 2017, http://afrique.lepoint.fr/actualites/tunisie-commission-electorale-les-enjeux-d-une-demission-11-05-2017-2126533_2365.php.